Damage was estimated between $100,000 and $200,000—a lot of money at that time! Two people, Mrs. Thomas Taylor and James Smith drowned. 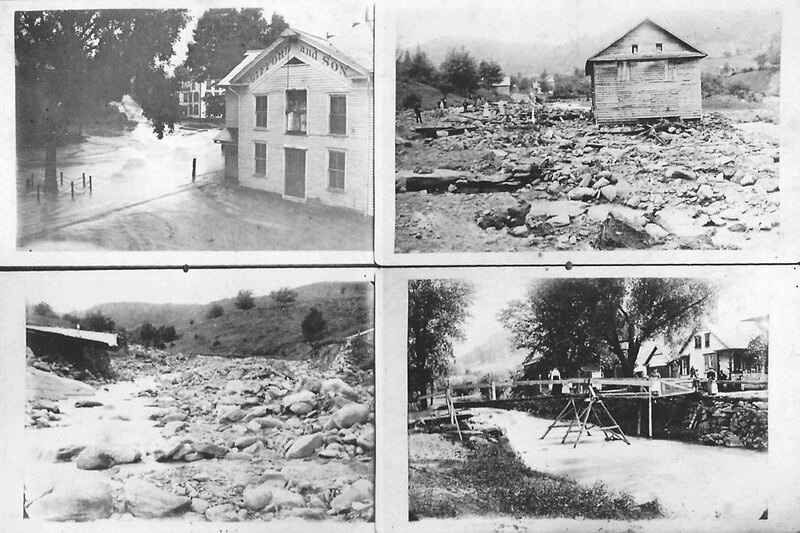 Homes and farms were destroyed, gardens a total loss, the railroad was out of operation for three weeks, the course of the river changed, and the water pipe that fed the reservoir was washed away for 50 to 60 feet and 15 bridges were washed out. The town board met to raise money to repair the damage to the highways. The Board authorized the supervisor to borrow $15,000 to help repair the highways and bridges. A footbridge was built across the Little Hoosick River for pedestrians. It was said that had the flood occurred at a later hour (when residents were asleep) the loss of life would have been great. Looking west toward Colonial Inn. 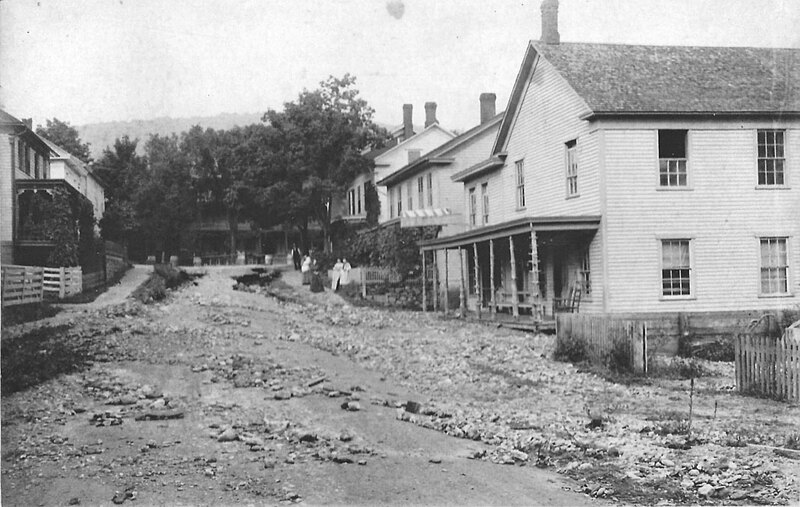 Frey’s Ice-Cream Parlor is on the right (now gone).